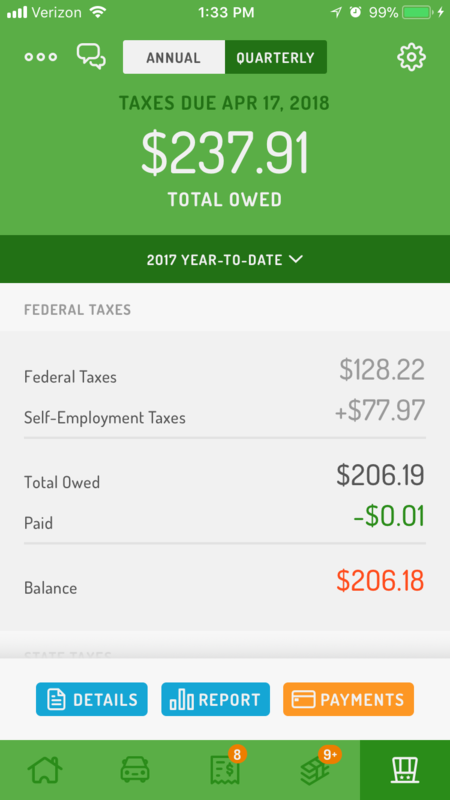 To check and make edits to your Tax Settings, tap Taxes (🎩) > Tax Settings (gear icon in the top-right corner). 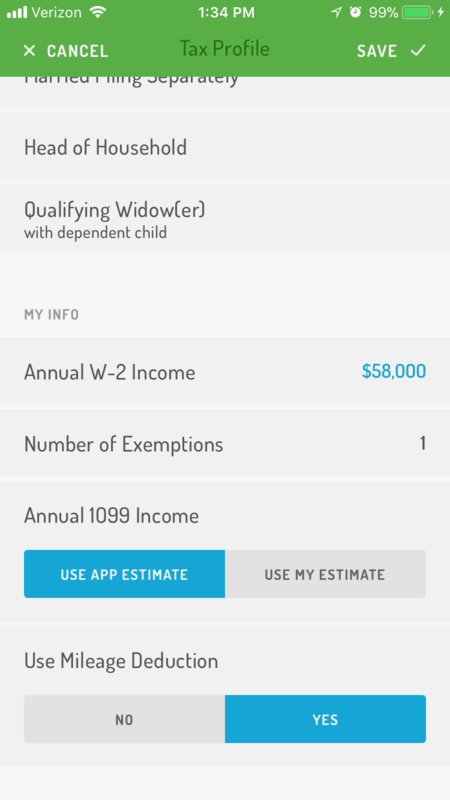 From there you'll be able to set your tax state, state and federal filing status, number of exemptions, and your annual W-2 salary before taxes (if you have a salaried job in addition to owning a business or working as an independent contractor). Note: Hurdlr's Tax Engine doesn't estimate any taxes owed on your W-2 income, since those are already withheld; however, it’s important to add your annual W-2 salary so Hurdlr can estimate your business taxes using the correct bracket(s). 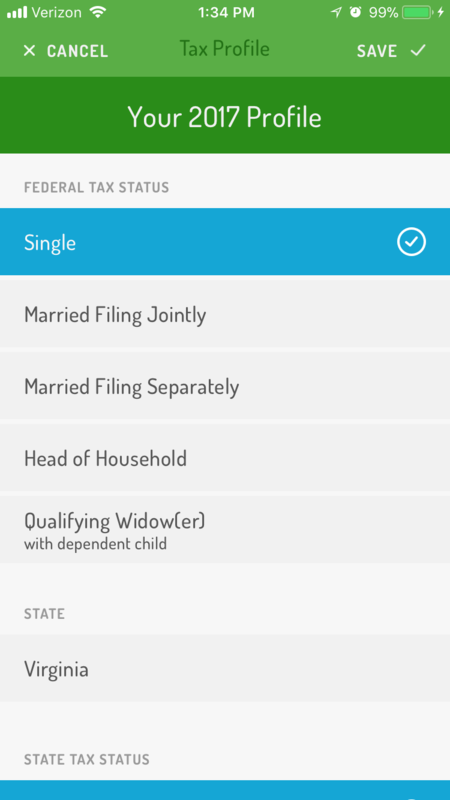 If you’re married filing jointly and your spouse has W-2 income, include their annual salary in this field as well.